It is very difficult. You have to take the test in Italian and the test is intentionally tricky. But that said, if you persist and do the example tests over and over again you will win. I’ve read many people saying they have done it even tho they don’t speak good italian. It’s a matter of work and memorization. I’m happy I didn’t have to do it but don’t let it keep you away. Yes it did this time Liz! But I’ve noticed many times they will ask for something and if you dont have it they go ahead and do it. But we were removed from this process this time. Anyway, we are happy! Congratulations! 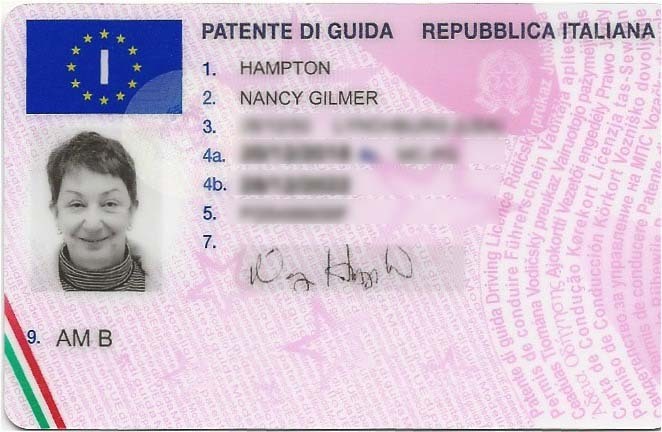 My hesitation in moving to Italy from the USA is getting the Italian drivers license. How difficult is it? So many Americans move there I would think it must be doable. LOL. Congratulations. I have noticed that Italians tend to make rather simple things difficult. “If at first you don’t succeed, try, try again”…seems to have worked. Yes we did. Too bad. We’ve had them a long time! Congratulations. That is an amazing story. Did you have to turn in the German licenses?